Kerma pottery: some of the finest products of pottery workshops from any period in the Nile Valley are the 'Kerma beakers'. 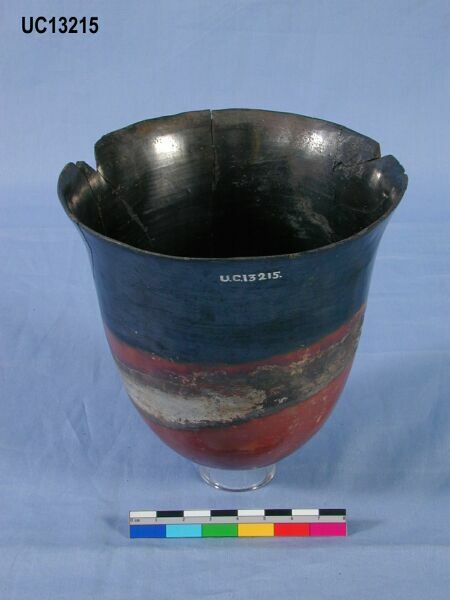 The vessels are red-brown colour with a black top in tulip form. 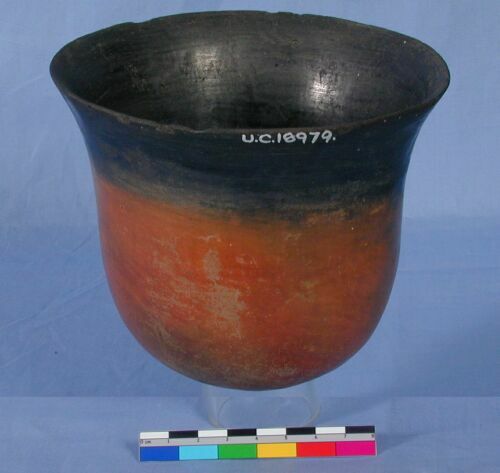 They are hand-formed first, but in Classical Kerma (about 1700 - 1550 BC) they were shaped on a potter's wheel. The surface is highly polished. 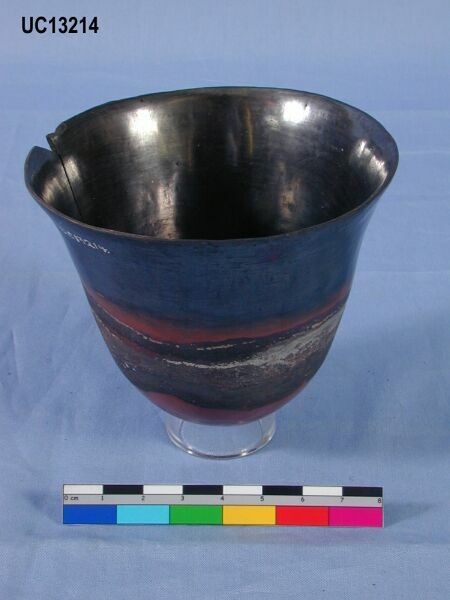 Often there is a distinctive silvery band around the vessel, from application of the bright white pigment huntite. 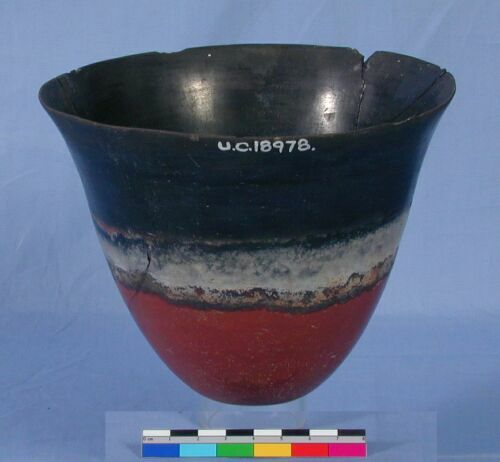 For other earlier Kerma pots sherds click here.